Do you hunger to sense God's Presence in your life throughout the day? Do you yearn for peace in the midst of the storms and heartaches you experience? Do you find your heart longing for security instead of confusion? If you answered “yes” to any of these questions, this journal is for you. 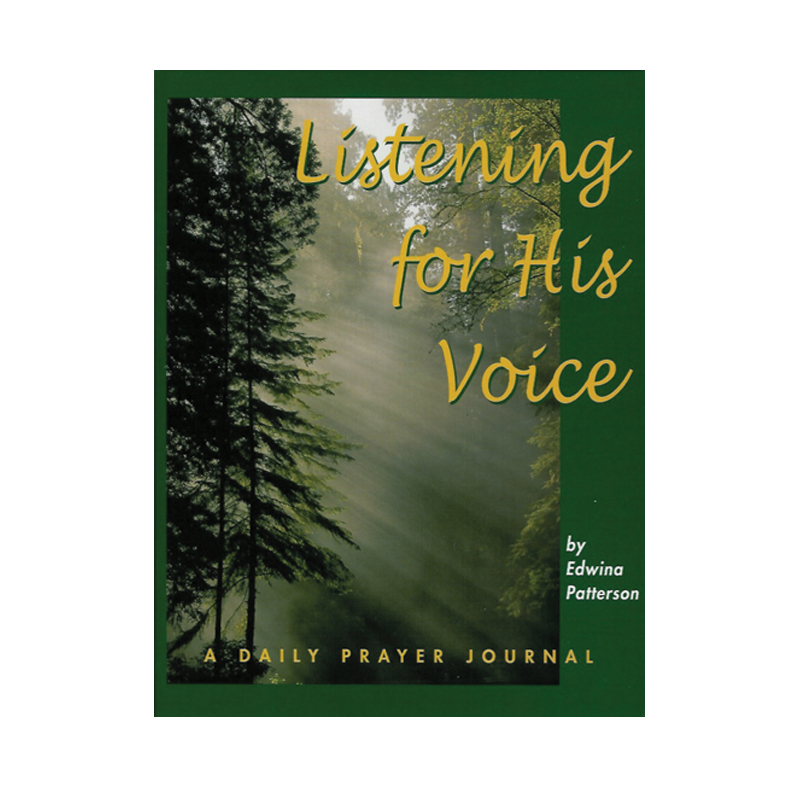 This journal, Listening for His Voice, is designed to help you develop a moment-by-moment, intimate love relationship with the Lord. Order this journal today and begin you pilgrimage into journaling and a closer intimate relationship you have been yearning for. This kit includes: the Daily Prayer Journal, an Instructional Packet, Journal Pages, One-year Storage Binder, and One-year Bookmark.